Being one of the most trusted banks of the country, State Bank of India has the onus to offer worthy credit card options. And, the bank has shouldered that responsibility well. SBI offers a range of simple and easy-to-use credit card options that people can rely upon. Their categories include shopping cards, travel cards, premium cards, classic cards and exclusive cards. Each one of their card has something unique and special to offer ranging from reward points, concierge services, lounge access facilities to movie tickets, flexi payment in EMIs and many more. 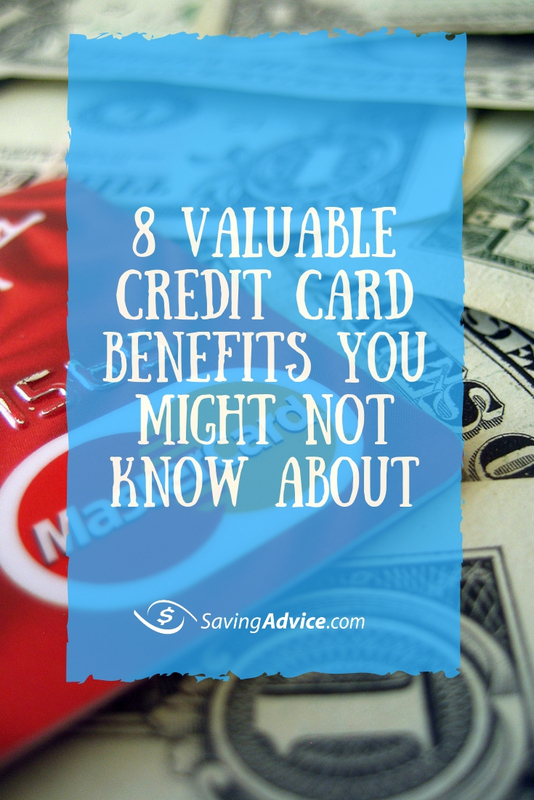 Their every card offers a different set of benefits. So let’s take a look at the five of their most popular ones which you must consider while applying for a SBI credit card. SBI Platinum Card– Being from the premium card category, this card offers a range of exclusive offers on dining, international store purchases and discounts on shopping from departmental stores. It is a good option if such expenses account for a major share of your annual spending and you wish to earn points from that spending. The joining and annual fees for the card is Rs 2999, but it is worth paying the amount considering the offered benefits and gift vouchers you receive on joining and on renewal thereafter. These vouchers, worth Rs 3000, are valid for shopping apparels and hence are useful for one and all. SBI Signature Card- The SBI Signature card is one of the high-end cards and an expensive one offered by SBI. One of the most striking features of the card is the welcome gift, under which you are offered vouchers worth Rs 5000 redeemable at Raymond’s, Jabong.com, Lifestyle or Shopper’s Stop or a free one-way domestic ticket from Indigo airline. This one is a perfect card for you if you have got immense love for travelling and shopping and tend to spend a lot on these. Other reasons to apply for this SBI card includes the bonus offered on making spend of over Rs. 5 lakhs. SBI Gold Card– This gold card is a preferred choice for the ones who wish to have revolving credit for their day–to-day expenses. 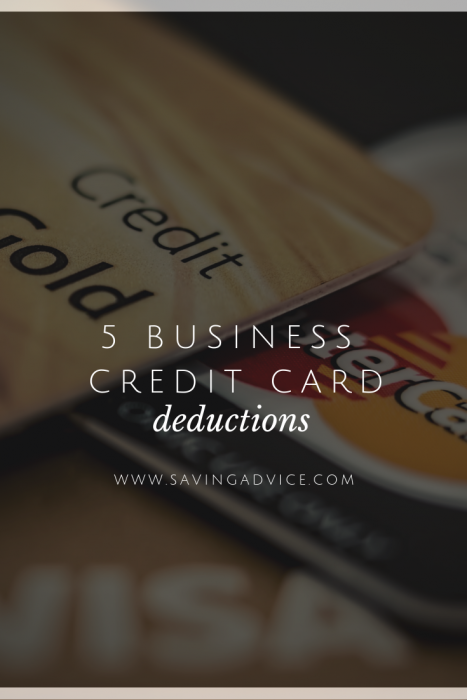 The expenses billed via the card will generate points that they can redeem for extra benefits. With a nominal joining and annual fee of Rs 499, this card is a perfect fit for paying utility bills, dining and shopping for groceries. The add-on facility of being able to avail cards for spouse and family also makes it a popular choice among individuals. Yatra SBI Credit Card-This co-branded, travel card can be of great use to you if you love visiting foreign lands or have to travel extensively because of work commitments. The range of benefits offered on this card includes discounts on holiday packages and on international shopping too. SBI in partnership with Yatra.com brings to you some amazing package deals meant exclusively for Yatra SBI credit card users. 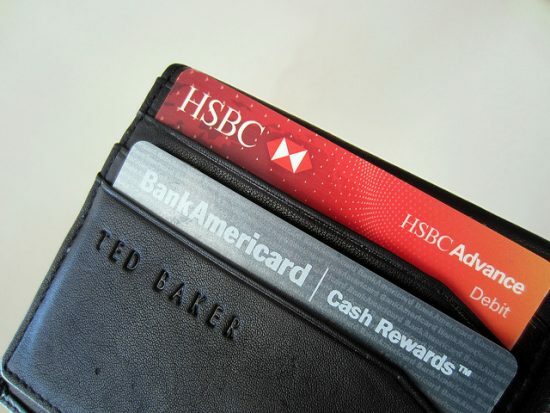 Other than making your vacations awesome, the card also enables you to pay for your day to day requirements like groceries, utility bills and departmental purchases. SimplyClick SBI Card– This high-tech contactless card is worth all the popularity it has secured in recent times. The numerous perks and rewards associated with the card are especially useful for the current generation who is fond of online shopping. SBI has collaborated with some of the leading e—commerce brands like Foodpanda, Bookmyshow,Lenskart, Ola cabs etc in order to offer the best of discounts and reward points to the card users. 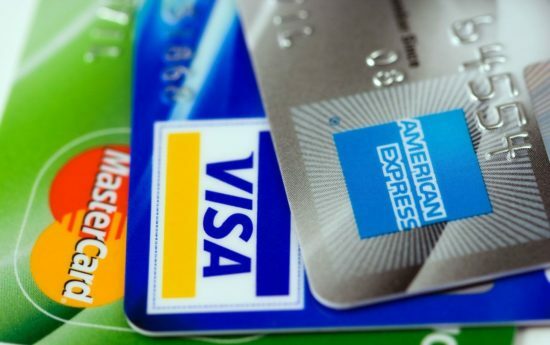 You can opt for any of these credit cards based on your requirements, affordability and suitability. Once decided, you can easily apply online for a SBI credit card. Online portals like Paisabazaar can make the task easier for you. We’ve all wished at some point in our lives that we knew more about finance. Many consumers wish they had just a bit of financial expertise. Just enough to ensure that the decisions they were making with their money were good decisions. University of Chicago Professor Harold Pollack figured out a way to make us all experts with a simple approach: index card financial advice. Pollack strongly believed (and still does) that the best personal finance advice out there can be found for free at the library and could fit on an index card. Finally, someone asked to see the card and Pollack created this. Pollack jotted down what he considered to be basic personal finance dos and don’ts. Then he posted it online. According to The Washington Post, he said the entire process took about two minutes. 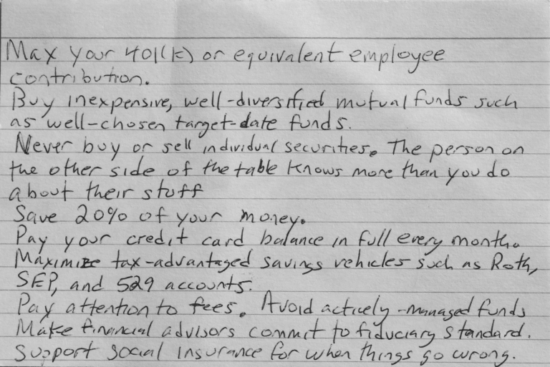 Overnight, the index card financial advice he gave out went viral on the internet. If you can’t quite make out the professor’s handwriting. Below are the basics outlined on the 3×5 card. Your 401(k) should be maxed out or at least put in enough money to get your employer contribution match. A diversified portfolio filled with mutual funds or target-date funds are an inexpensive buy. Stay away from individual securities. The big boys on the other side always have more information than you do. Save at least 20% of your income. One day you’re going to be happy you did. Always look for tax advantage investments and when you find them maximize them. Purchase investments like 529 accounts, SEP and IRA’s. Fees can eat away at your savings, so pay attention to them. Manage your own funds. If you use a financial advisor he or she has certain fiduciary standards that they follow based on their licensing. Ensure that those standard are upheld. Support Social Insurance for when something goes wrong. Everyone may not agree with all of these points and some may be a total contradiction to what you’re doing with your finances, but there are some great points of advice here. You may not feel like an expert, but you will have learned something or been reminded of something that could enhance your financial literacy by keeping a copy of this card around. I Can Make You Rich by Paul McKenna – This book is great for younger people. McKenna uses psychological techniques to help you change your mindset about money. Think and Grow Rich by Napoleon Hill – Hill spent time with some of the richest men in the world to find out how they became rich. This book will open your mind in a very controversial way on how to make money. It might change your overall thought process about money accumulation. Freakonomics by Steven Levitt and Stephen J. Dubner – Since 2005, these authors opened our eyes to the darker side of money. For many consumers, you will start to look at economics totally different after reading this book. You’ll never look at economics the same. If you’re looking for great personal finance advice, join us in the Saving Advice forums for discussion.